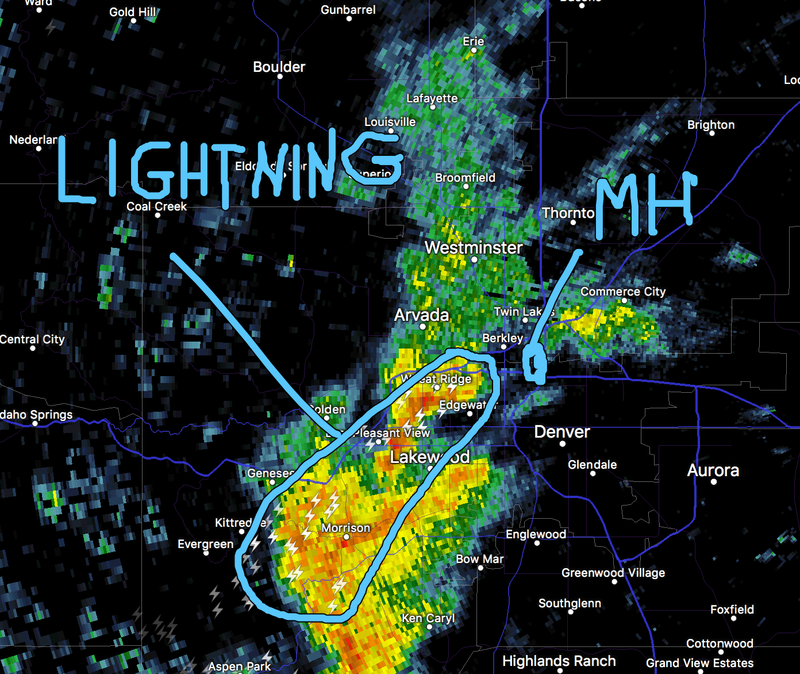 There is a lightning delay in the Denver - Dallas game at Mile High Stadium. Below is the radar at the time the delay was declared. If you click the image, it will enlarge and you can see the "zot" symbols. The announcers and former ref in the booth discussed the 8-mile rule which says they have to suspend the game when lightning gets within eight miles. At AccuWeather Enterprise Solutions, we have a superior system called Minutes, Not Miles. For example in the early spring, it is not uncommon for storms to have a forward speed of 60 mph. That means that eight miles only give you eight minutes warning -- not enough time to evacuate a stadium. Or, in summer, it is not uncommon for storms to move at ten miles an hour or less. Which means that there is too much time during which the storm may dissipate. AccuWeather also has a patented system which allows us to forecast lightning before the dangerous "first bolt" occurs. If you want the state-of-the-art in lightning protection, give us a call.